Archeological centers and regional offices in the National Park Service assist a wide variety of parks, partners, and public audiences in the preservation and treatment of archeological resources. 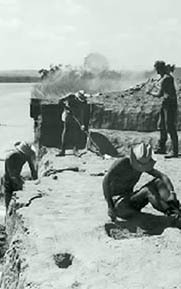 The regional archeology programs and centers perform many functions concerning archeological resources. Their archeologists participate in park support through surveys and excavations, or by providing information and guidance. Several centers are also regional curation facilities for archeological collections and associated records, among other collection types. They may also conduct public outreach programs in parks or within local communities. Find out more about the archeological centers and regional archeology programs by visiting their web sites.